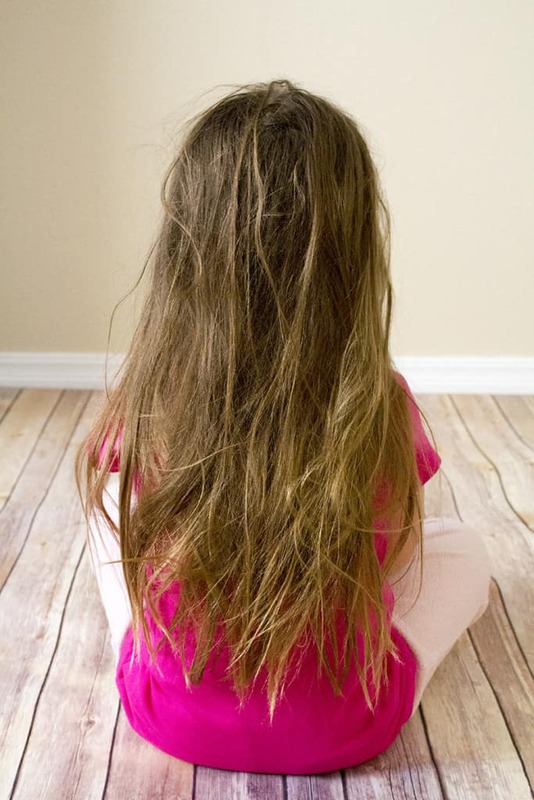 My four-year-old daughter has long hair. She likes it long, because she is a princess (her words, although I tend to agree with her). 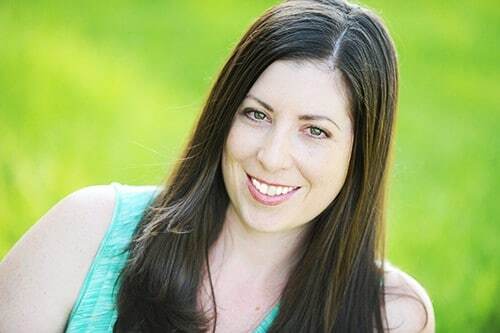 Her hair is very straight, unlike mine, and it is fine. She has a ton of it, but even still… you would think because it is straight and fine, it wouldn’t get tangled. That assumption is wrong, times infinity. It honestly baffles me how tangled her hair gets. I am fairly certain she doesn’t go to preschool and literally roll around in the dirt, but based on the state of her hair when she gets home from school, she may as well have done that exact thing. I give her a bath in the evenings, and even a healthy dose of shampoo and conditioner can’t ease the nests of tangles that occupy her hair. So, around 2 years ago, I just had to give in and start using a hair detangler on a daily basis. I’ve gone through quite a few different hair detanglers, and some work well, whereas others don’t work at all. Here are the products I’ve tried over the last couple years, how well they worked, and what their EWG rating is. My Thoughts: This was recommended to me by my hair stylist, and perhaps works the best of all the products I have tried. 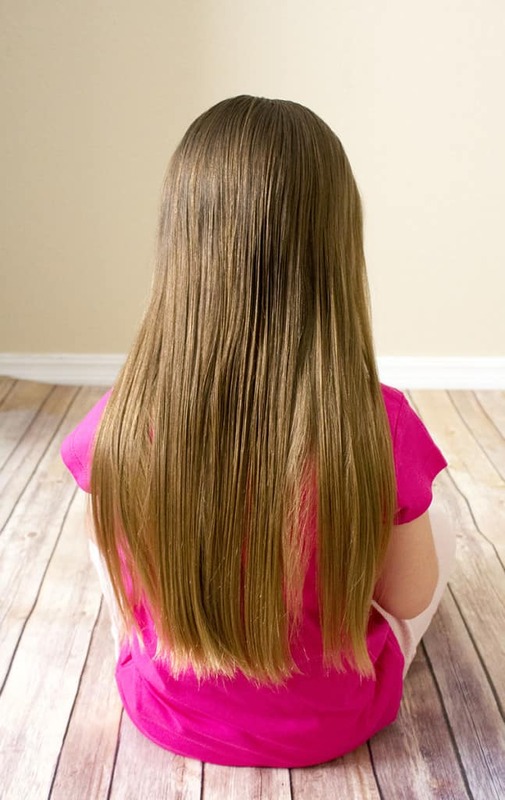 While only using a dime-sized amount, I spread it evenly over my daughter’s hair, let it sit for 2 – 3 minutes, and I can brush through most of her hair without any snags (or whining). As far as a detangler, this stuff works great. 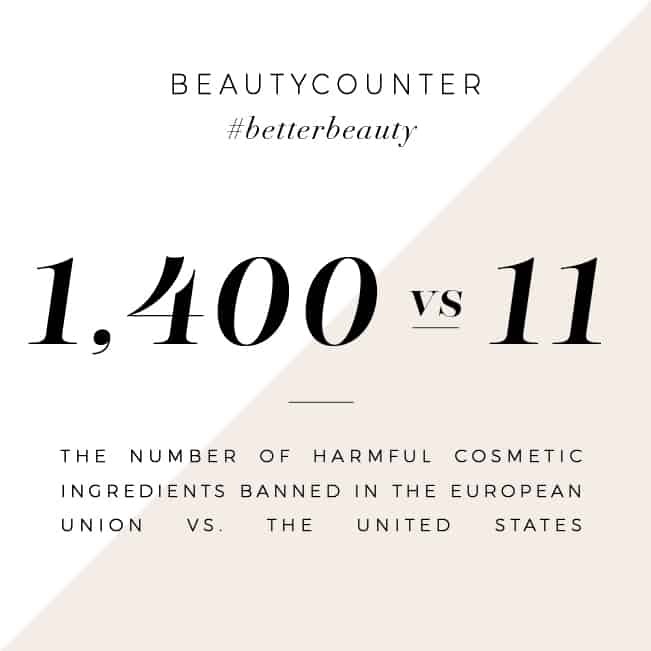 However, it is made with a bunch of chemicals, and is undoubtedly not great for people or the environment. My Thoughts: I love the ingredients in this hair detangler, and I feel safe using it on my daughter. It works okay. It does get out about 50% of the tangles, if I leave it sitting for a few minutes, but it is not a cure-all. If you’re more focused on healthy than effective, this is the way to go. My Thoughts: It looks like the ingredients in this aren’t too bad, but it got dinged pretty hard for the addition of fragrance and artificial coloring. A tiny amount is applied when the hair is wet, and after sitting a few minutes, it works really well to get out tangles. Additionally, a tiny amount can be used on dry hair, and it makes the hair SUPER shiny. Like model’s hair shiny. If you’re more focused on an all-around hair product that works as a detangler, but are less concerned with the EWG rating, this is a good product. It is quite expensive though, retailing above $20 for 6 ounces. My Thoughts: This is a homemade hair detangler that I have used, off and on, over the past couple years. I really like this because it is the safest hair detangler on the list. The drawbacks are that it tends to smell strongly of vinegar (which can be off putting to some), and you have to make it yourself. It is all natural, so if your main concern is a healthier product, this is clearly the way to go. EWG Rating: Not rated, but there are no chemicals, so it would be a 0. My Thoughts: This is made with magic, fairy dust and miracles. I know, I know, that sounds impossible, but how else could it be so effective as a detangler? The Wet Brush was by far the best of anything I have tried on my daughter’s tangles. The bristles bend easily, so it doesn’t get stuck on snags in the hair (which eliminates 90% of the pain for my daughter), but it catches enough so it does eventually work out the tangles in a more manageable and less painful way. As long as her hair is wet, this works beautifully! I can get her whole hair brushed in less than 3 minutes, and she doesn’t fidget or fuss while I am doing it. AND, there are no chemicals, so it’s very safe! I highly recommend the Wet Brush to anyone looking for a detangling solution. Have you tried any of the hair detanglers on this list? Have you tried other ones that work well? 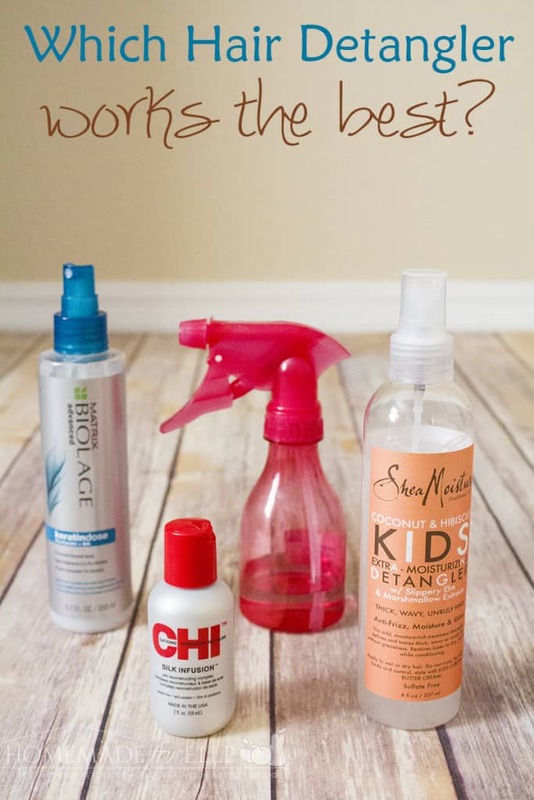 Let me know what you think is the best hair detangler is!